Dr. David Jernigan, Biologix Center: Functional Heart Problems Caused by Underlying Lyme Disease! 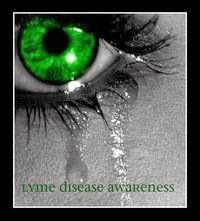 Functional Heart Problems Caused by Underlying Lyme Disease! A very common symptom of chronic Lyme disease is many and various heart problems, such as Postural Orthostatic Tachycardia Syndrome (POTS). It is fairly common for POTS patients to have a noticeable drop in blood pressure upon standing, but some POTS patients have no change or even an increase in blood pressure upon standing. POTS patients often have hypovolemia (low blood volume) and high levels of plasma norepinephrine (from the adrenal glands) while standing, reflecting Autonomic Nervous System disregulation (dysautonomia) causing increased sympathetic nervous system activation. Many POTS patients also experience fatigue, headaches, lightheadedness, heart palpitations, exercise intolerance, nausea, diminished concentration, tremulousness (shaking), syncope (fainting), coldness or pain in the extremeties, chest pain and shortness of breath. The many heart and circulatory problems seen in POTS can be caused by Lyme Endocarditis as a result of metabolic toxins produced by the spirochetes (bacteria) of Lyme. The primary toxin identified through clinical research is the accumulation of ammonia (NH3) in the heart, brain, and other infected tissues. While eliminating the toxins and the bacteria can create a favorable environment for the body to be restored, the POTS symptoms often remain. In the following link I will be introducing and discussing the profound new innovation called NeuroCardial Synchronization™, that was developed at the Hansa Center to specifically address the heart and brain disturbances of POTS. This new therapy has resulted in complete resolution in all participants to date. Keep reading to learn how modern phonocardiograms have changed what is possible in diagnosing and treatment functional heart problems. Phonocardiography, is the use of a high-definition, digital, electronic stethoscope, linked to a computer program in order to record the sounds of the heart. From these recordings we can identify problems in heart that are often undetectable using ECG's and other conventional heart tests.